According to Freddie Mac’s Primary Mortgage Market Survey (PMMS) average 30-year fixed rate mortgages remained near all-time record lows for the week ending October 11, 2012. The average 30-year fixed rate mortgage edged up slightly to 3.39 percent – from last week’s average of 3.36 percent. Last year at this time the 30-year FRM averaged 4.12 percent. Average 15-year fixed rate mortgages also increased slightly to 2.70 percent from last week when the average was 2.69 percent. Last year at this time, the 15-year FRM averaged 3.37 percent. The five-year Treasury-indexed hybrid adjustable-rate mortgage (ARM) rose slightly to 2.73 percent – from last week when it averaged 2.72 percent. A year ago, the 5-year ARM averaged 3.06 percent. The average one-year Treasury-indexed ARM rose to 2.59 percent from 2.57 last week. Last year at this time, the 1-year ARM averaged 2.90 percent. 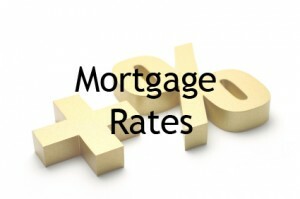 Contact a licensed mortgage loan professional to take advantage of these record low mortgage rates. Find a loan officer near you. This entry was posted in Mortgage Rates, Uncategorized and tagged 1 year Treasury Indexed ARM, 15 year fixed rate mortgages, 30 year fixed rate mortgage rates, 5 year adjustable rate mortgages, Freddie Mac, interest rates, mortage interest, mortgage rates by Inlanta Mortgage. Bookmark the permalink.